the first vehicle that I purchased as an adult was bought specifically for kayaking. After years of renting boats on weekends - I lived in Manhattan, and couldn't store a boat in my apartment - I finally decided to buy a kayak. I had done a ton of research. I knew the boat I wanted, I had a roof rack picked out. But I needed a vehicle to put under it. I went with a used, 1990's (I think) Isuzu Trooper. 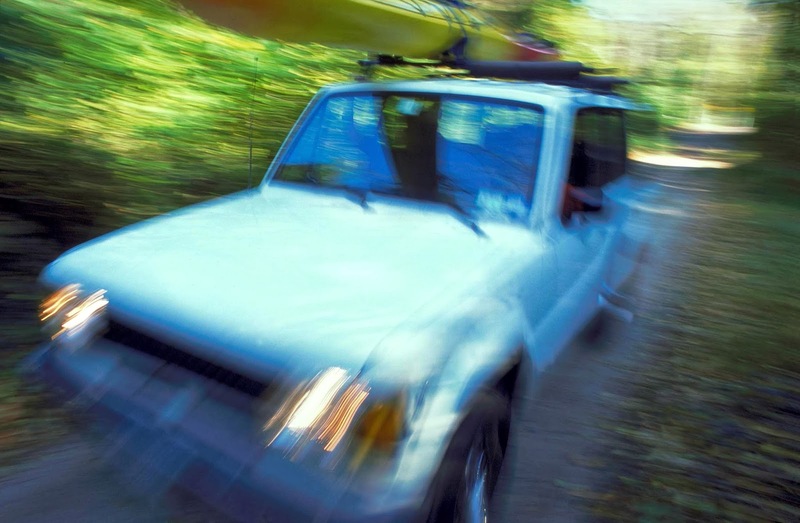 In this photo you can see the truck and the kayak. I loved this truck. This was around 2000, gas was cheap - it cost a little over $20 to fill the tank and I got around 200 miles per tankful. My boat was stored at my sisters and Long Island, and I would go out every weekend, pick up my boat and drive off to some beach and paddle. I paddled every square inch of Long Island and it was wonderful. Trucky, as this truck was called had a catastrophic ending. A seized engine, which was a surprise because the transmission wasn't in great shape and I was pretty sure that was going to be her ending. She was replaced by a mid 90's Toyota forerunner. No one liked this truck. Not even my dog. But it still did big trips down to the Outer banks and up to Maine with kayak on the roof. The death of this truck was rust, and I wasn't sad to see it get pulled out of my driveway. My wife and I shared a Toyota Corolla for a while, but then I got the now famous ride. A friend of mine - who had lived through several trucks with me - couldn't believe I bought a little tiny car like this. But the answer is I could never manage driving to Alaska in a truck. The fuel alone would cost thousands. Round trip to Alaska in my Yaris is right around $1000. I can't put a 4x8 sheet of ply in the back like a can in a truck, but I have had a ridiculous amount of gear on the roof. Including 4 kayaks at one time. We will probably have three kayaks on the roof coming back from Alaska in June. I am a big fan of cars like this, they are sure footed, hold a ton of gear, are comfortable for long trips, and if you have a subaru you get all wheel drive. 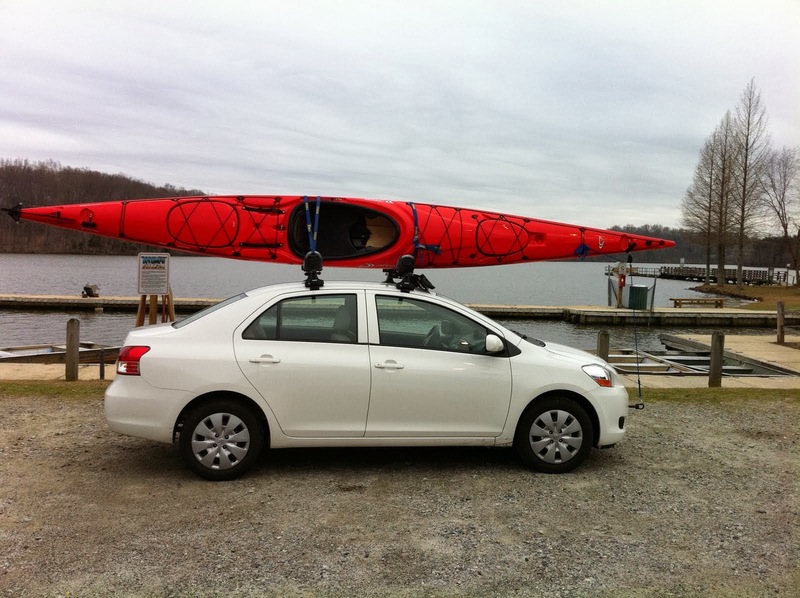 Do you have a tiny car with a load of kayaks on the roof? Post a pic of it on my Facebook page.